Ready to Do Some Canada Sightseeing? Here are the Top Things to Check Out! Let’s be serious – pulling together a post on the best things in Canada can be tricky since Canada is so big! There are just too many things to see and do. 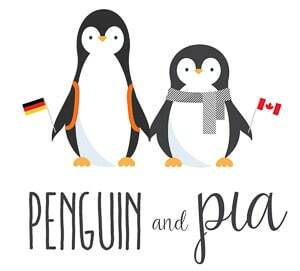 If you didn’t already know, half of us at Penguin and Pia (Eric) is Canadian, and the other half (Lisa) lived in Canada for a few months in 2017 on her Canadian Working Holiday Visa. We used the time to explore a few places in Canada but we didn’t even come close to crossing off all the best Canada sights! So, we wanted to make a list for someone who might just be learning about or travelling to Canada for the first time. Once again, we’ve teamed up with fellow Canadian Laura at She Who Wanders to try and cover the whole country! 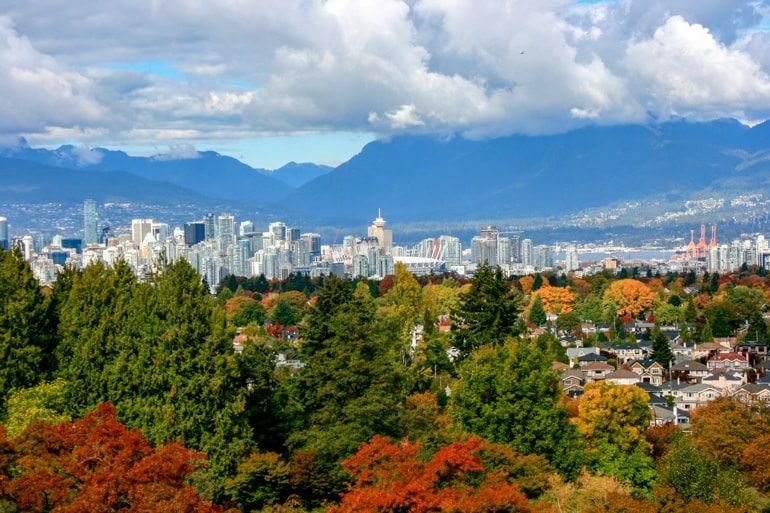 As a Montreal native who lived “out west” in Vancouver, she knows a thing or two about which Canadian sights to check out! A huge shout out to Laura for once again writing down your Canadian knowledge and sharing it with us! Of course, there are a few obvious tourist attractions like Niagara Falls. Many foreign travellers even start trip planning and packing for Canada by looking for attractions near Niagara Falls. Now, this isn’t a bad idea – but there are so many other tourist attractions (sorry, Toronto) and natural attractions all across Canada that you should check out. So, if you’re looking for places to visit in Canada during the summer or the winter, this post has it all for you! So you know, we’re going to cross all the regions of Canada in this post. While we might not name an attraction or sight in each province or territory, we’ll explain all the parts of this great country so you can plan the perfect trip! We’re going to head from East to West – and we will add to this post we go and as we explore things! Ready to explore Canada? Here we go! There is something about the East Coast of Canada that draws visitors in. Once you experience it, you’ll never forget your time there. The East Coast is also referred to as the Maritime Provinces. From quaint fishing villages, dense forests, a maritime climate, and a whole lot of culture, the East Coast is not to be missed if you visit Canada. The provinces that make up this area of Canada are Newfoundland and Labrador, Nova Scotia, Prince Edward Island, and New Brunswick. These small provinces have played (and continue to play) a huge role in shaping Canada’s history. St John’s and Halifax have served as port cities for trade and commerce, while Charlottetown, the capital of Prince Edward Island – is where the Charlottetown Conference was held in 1864. It was this meeting where the original idea of a Dominion of Canada was brought up. Three years later, Canada was born! As such, there is a rich history to the East Coast, drawing upon Irish and Scottish roots from Europe to influence the culture and traditions for more than a few centuries. Located in New Brunswick, the Fundy National Park is a very popular place for nature lovers in Canada. The park is close to the Bay of Fundy and, as such, benefits in many ways from the dynamic coastline. The area is home to the highest tides int he world. At the Hopewell Rocks, visitors can walk on the sea floor during low tide and return hours later to see their footprints deep under the ocean tide once again. Fundy National Park is also home to the Canadian Highlands – an area known to resemble the geographical landscape and weather of the famed Scottish Highlands. Besides the lush green hiking trails and rocky cliff views, the park is home to over 25 waterfalls that are sure to make your adventure a memorable one. 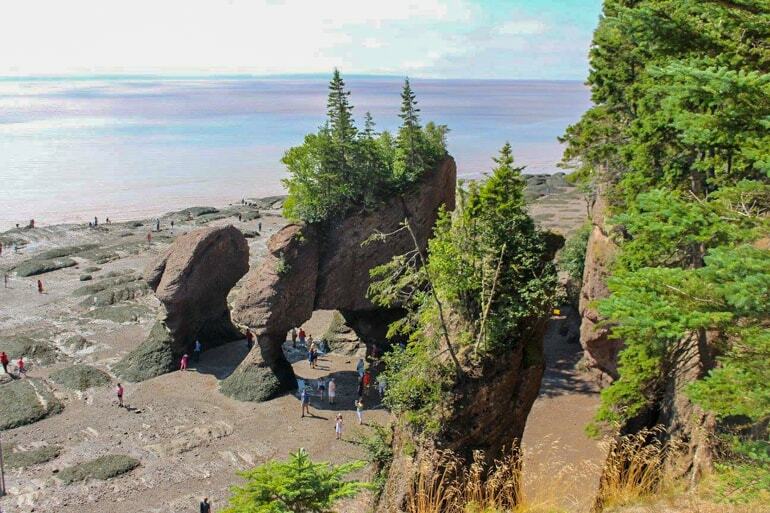 To learn more, you can visit the official website for Fundy National Park. Located in Newfoundland, Gros Morne is a landscape so old and important that it;’s actually a UNESCO World Heritage Site! Formed by moving glaciers and shifting continents, the landscape features a little bit of everything: from dense forest to bare tundra, steep cliffs, and ocean views. Norway is known for its fjords – and so is Gros Morne! If you’re visiting Gros Morne, you have to book a cruise on the fjord of Western Brook Pond – a waterway that features massive towering rock cliffs. There are featured hiking and diverse wildlife throughout the park for you to see, as well. You can even hike Gros Morne Mountain for some of the highest and most spectacular views in Eastern Canada. To learn more, you can check out the official website for Gros Morne. The capital of Newfoundland and Labrador is known for its colourful houses and so much more. it’s actually the oldest and most Easterly city in North America. With over 500 years of history to explore, you’re bound to find something that interests you! Visitors can dive back into history and learn about Canada’s role in shaping the world as it is today. Check out the Cathedral of St. John the Baptist or hike up to Signal Hill – where the first wireless communication was received from across the Atlantic Ocean! Having taken in the history, you can embrace the “now” in and around this city. From whale-watching via a chartered tour to world-class dining, the city has lots to offer. We’ve only given you a small sampler. If you want to learn more, discover the tourism website for Newfoundland and Labrador. Remember, because it’s so far east – it’s actually easy to fly from Paris, Frankfurt, London, or Dublin! The capital of Nova Scotia is not to be missed. Like St. John’s, Halifax is known for a lively nightlife, a rich seafaring history, amazing seafood, shopping, epic coastlines and outdoor activities, and much, much more. You can visit the Citadel atop Citadel Hill – an important place during the War of 1812. Halifax Harbour is full of Maritime history – including the Maritime Museum. Pier 21, a common landing point for immigrants into Europe for decades, is now a museum and archive experience. Eric’s grandparents actually came through Pier 21 in the 1950s from Europe and their signatures and landing cards can be searched in the museum! 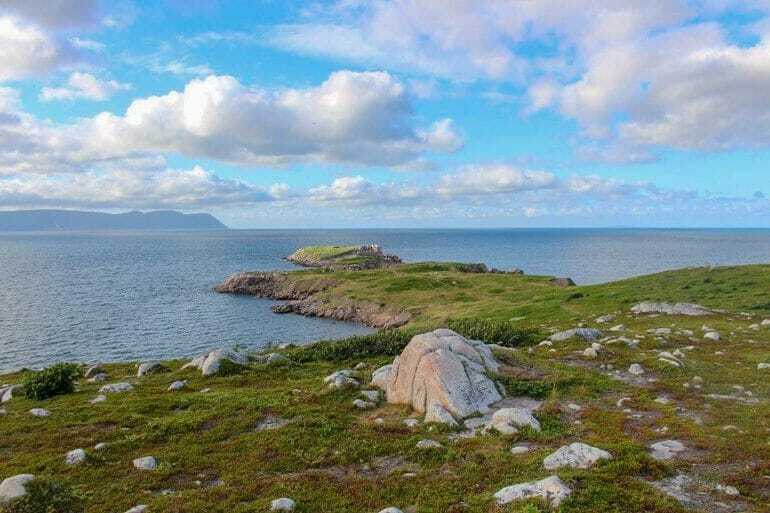 Visitors can also use Halifax as a starting point to explore other places in the Nova Scotia like Peggy’s Cove, Cape Breton, and the Cabot Trail – which we’ll cover below. To learn more, check out the Halifax tourism site. Looking for a Room in Halifax? Check Here for Hotel Deals in Halifax. Nova Scotia has a lot to offer. The famous Cabot Trail is certainly one of them. 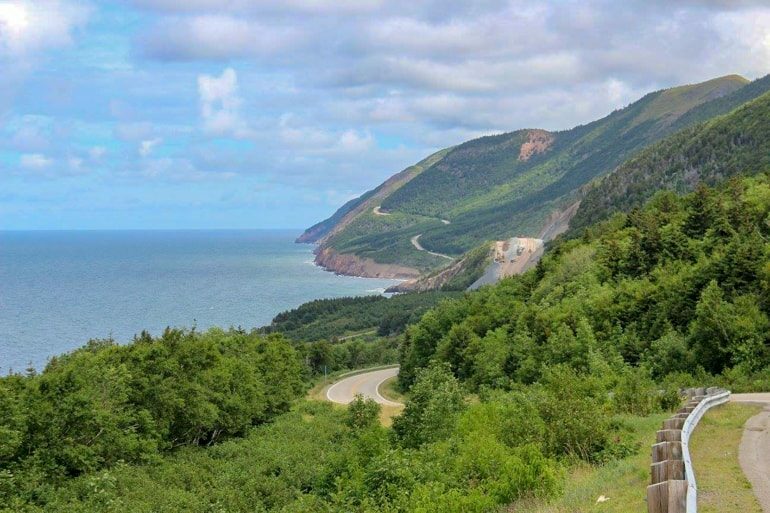 Rated as one of the most scenic drives in North America, the route is a complete loop around Cape Breton Island – a well-known part of Nova Scotia. The Cabot trail takes about 8 hours of actual driving time but you should plan for 3-5 days to complete the loop so that you can allow for stops along the way. Plus, the Trail is just shy of 300 kilometres – so you should break it up anyways! Named after John Cabot, the famous Italian explorer who discovered parts of North America, the Trail takes you through Cape Breton Highlands National Park and along the coast to explore small towns and beautiful coastlines. Don’t forget to stop to enjoy local specialties like lobster! You can actually discover the Trail in all seasons – with ice fishing and snowmobiling as possible activities in the wintertime. To learn more about this epic road trip, you can check out the Cabot Trail website. 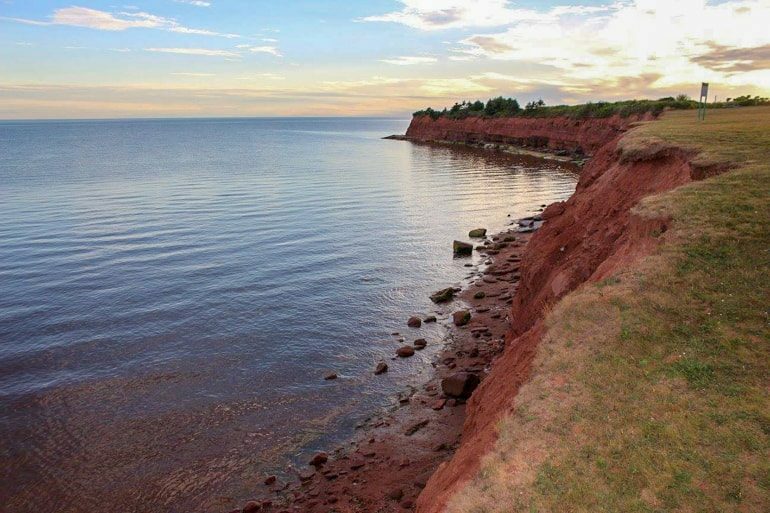 The Red Sands Shore region of Prince Edward Island is named appropriately – to say the least! From scenic coastal drives to deep red soil that stains the unique landscape, Argyle Shores Provincial Park is a great place to discover the region in the summer. From hiking trails to swimming, there is plenty to do and see in the park. Those who are really keen can go sea-kayaking and use the time to explore off-the-beaten-path fishing villages. If you’re interested in seeing more of Prince Edward Island, consider a road trip to the capital – Charlottetown. You can also drive to Cavendish to check out the “birthplace” of the fictional character “Anne of Green Gables”. Created by Lucy Maud Montgomery in 1908, Anne and her down-to-earth roots in Prince Edward Island have remained a staple of Canadian literature ever since. To learn more, check out the Prince Edward Island site for Red Sands Shore. In the middle of Canada but leaning to the East, you’ll find the two provinces of Quebec and Ontario. You’ll also find most of the country’s population and a whole bunch of the popular attractions in Canada! Ontario and Quebec are the two largest provinces in the country. So, considering the size of the area, there really is lots to discover. Quebec, like the Atlantic Provinces, has roots that date back to the original settlements well before Canada was Canada. The area is predominantly French-speaking because the French claimed the area around the same time that the British claimed Ontario and other parts of Canada. They actually fought quite a bit – but that’s a history lesson for another day! Don’t worry if you don’t speak French – Montreal is a very bilingual city! Ontario has the nation’s capital, Ottawa, as well as the country’s biggest city – Toronto. You might be familiar with things in Ontario like the CN Tower and Niagara Falls – but our post is meant to show you a few of the other top things to check out in Ontario! As always, we’re still geographically heading east to west with these suggestions! Quebec City is like stepping into a time capsule to discover Canada’s routes. The difference here from the Atlantic Provinces is that the history of Canada is a little more French! As a UNESCO World Heritage Site, Old Quebec City has too much to offer. From walking tours on cobblestone alleyways to boat tours on the St. Lawrence River, there is never a dull moment in Quebec City. The city is great to visit in all seasons. The summer makes for a visit with warm temperatures and lots of patios to enjoy in the city, The winter brings about the famous Christmas Markets, the winter festival known as Carnival, and activities like ice skating. Oh, and if you want a place to stay – why not book the beautiful and historic Chateau Frontenac (pictured above). You can learn more about visiting Quebec City on their website. Looking for Quebec City Accommodation? Search for Deals in Quebec City! Want to Discover Quebec City? Book a Grand Walking Tour or Fantastic Quebec City Harbour Cruise. Downtown Montreal from up on Mont-Royal! Love good food, great culture and feeling like you’ve popped over to Europe while having never left Canada? Well, then Montreal is your city to visit, hosting the Jazz Fest and Just for Laughs comedy fest annually summer is fantastic. If you’re keen to get a real Canadian winter under your belt then pop over during the holidays. Montreal can get pretty cold but there’s ice skating in the Old Town and cute cafes to pop into to warm up. There are also incredible museums to check out if you need to escape the winter chill! 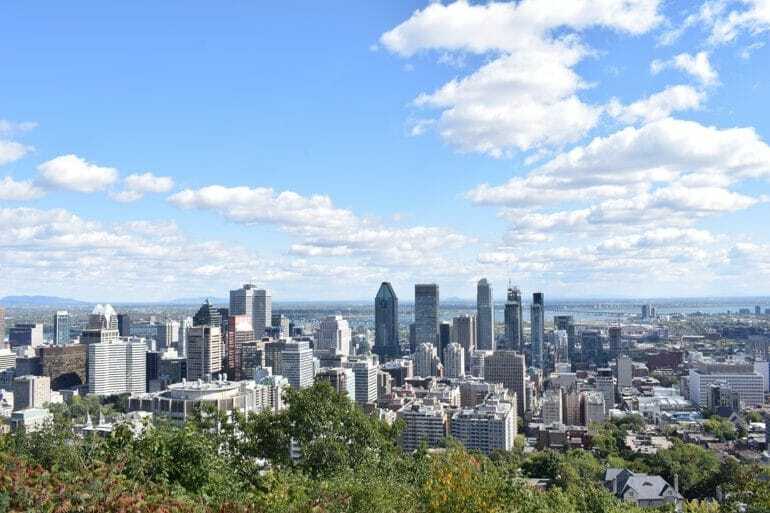 The mountain after which the city is names – Mount Royal – has an incredible view over the city. Nearby, Beaver Lake is the perfect spot to pack a picnic and watch the trees change red and gold over autumn. Don’t forget about the Old Port which will transport you back to a time before public transit and social media with its twinkle lights and cobbled streets. If you are for sure visiting Montreal, we have a whole guide on where to stay in Montreal and how to spend the perfect day in Montreal! Looking for a Hotel in Montreal? Check here for Montreal Hotel Deals. If you’re keen to explore Canada’s capital city, you can learn all about the Canadian Government and visit the Parliament Buildings. There are lots of statues around the grounds at Parliament Hill for you to discover and learn about Canada’s history from. Ottawa, in general, has plenty to do in the summertime and the winter. The famous Byward Market is full of shops and stalls selling local goods as well as numerous bars and restaurants that come alive with activity and music each night. We wrote a whole post on the top pubs and bars in Ottawa for this exact reason! In the winter, the Rideau Canal becomes the largest skating rink in the world and you can rent ice skates to skate as much of the almost 8-kilometre rink as you like. Along the way, you can stop at stalls to warm up and enjoy Canadian treats like Beavertails (a fried dough dessert covered in sugar and cinnamon). Looking for a Hotels in Ottawa? Check for Ottawa Hotel Deals. Want to Discover Ottawa? Do the Hop-On Hop-Off Bus Tour to See All of Downtown Ottawa! The CN Tower from the Harbourfront in Toronto. As the tallest structure in Canada (and for decades, the entire world) the CN Tower, or Canadian National Tower by its full name, is always worth a visit. That’s why we put it on our list of top tourist attractions in Toronto! Standing at 533 metres tall, going up to the top allows for amazing views of the region. You can even see all the way to the United States from the top on a clear day. At the top, there is lots to do. You can walk (or jump) on the glass floor as you peer all the way to the ground a 1,000 feet below. The 360 Restaurant serves high-class dished with local ingredients and makes a rotation almost every hour – giving diners a different view through the meal. Definitely something to put on your one day Toronto itinerary! The Sky Pod is an observation deck even higher up from the main deck, and you can even head “outside” for the Edge Walk – where you dangle in a harness off the edge of the tower 116 storeys up! To book tickets to go up the CN Tower, you can check out the website. Booking a Toronto Hotel? Check Out Our Guide to Toronto Hotels and Neighbourhoods! Want to Discover Toronto? 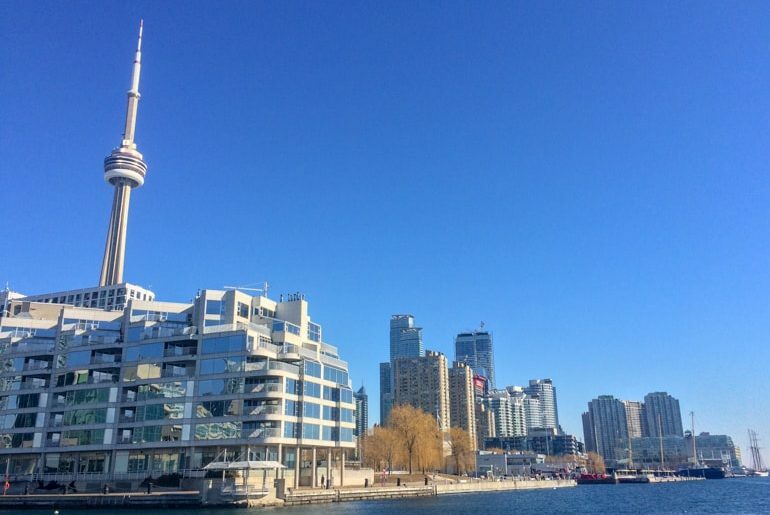 Book the Toronto Bus Tour or Do the Ultimate 5-Hour Toronto Tour! You can’t go to Canada without checking out (or at least researching how to visit) Niagara Falls. While the name “Niagara Falls” is actually the name of the three interconnected falls that straddle the border, “Horseshoe Falls” is the one on the Canadian side. It’s the larger one and usually the one people think of when they say “Niagara Falls. It’s also the prettier one, but we’re a little biased! Niagara Falls, the city, has lots to keep visitors busy. From carnival-like attractions and museums on the street to lots of parks, walking trails, and viewpoints, you’ll have plenty to do. For the Falls themselves, you can hop on the famous “Maid of the Mist” boat tour that goes up close to the Falls. Hornblower Niagara Cruises is the company that operates the tour on the Canadian side. You can also book tours to go into the tunnels behind the falls and on viewing platforms very close to where you need to wear a plastic poncho to not get too wet! The falls are a spectacular sight in nature and you should definitely visit if you’re coming to Canada! To check out the official site, check here for Niagara Falls tourism. Looking for a Room in Niagara Falls? Book Soon to Get the Best Niagara Falls Deals! The view from a dock in Ontario “Cottage Country”. One of the best ways to discover what Ontario has to offer is to dive into nature and do like the locals do. Renting a cottage in Ontario is a great way to experience Ontario wilderness with the comforts of a home away from home. Cottage rentals on famous Lakes Muskoka, Lake Joseph, and many more in the quintessential “cottage country of Ontario” can take you as high as Halliburton and as low as Grand Bend. There are freshwater lakes all over the province to greet you with swimming, fishing, water sports, and canoeing. To learn more, you can read about how to rent a cottage in Ontario! Ontario is also home to some amazing resorts and inns that are worth booking to take the hassle out of your visit to Ontario’s nature. Check out Ontario’s finest inns and resorts. 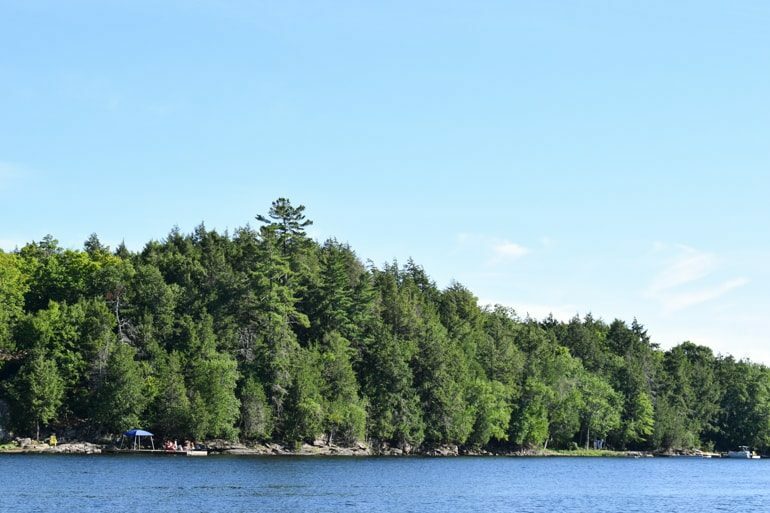 Alternatively, if camping and being rugged is more your style, there are dozens of amazing campgrounds around Ontario specifically designed to help short stay tourists get the full experience from their time camping in Ontario. Gear rentals are simple, fees are often quite low, and the benefits of being outside in a secure location are second to none. 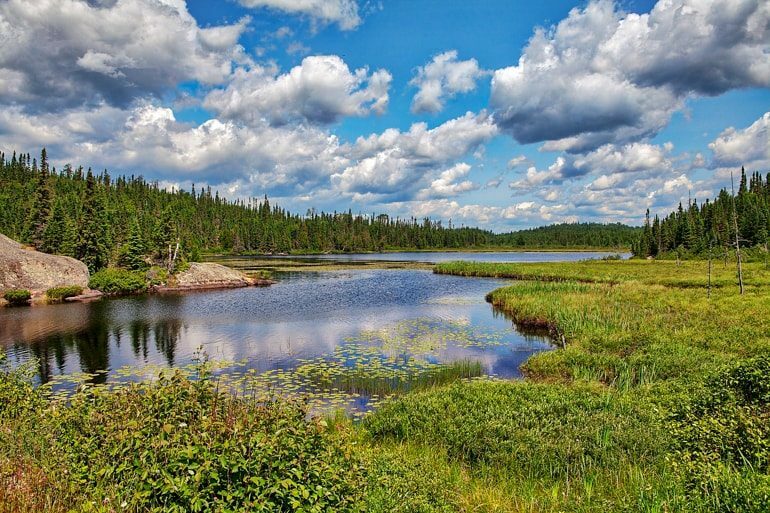 Check out Algonquin Provincial Park, the oldest provincial park in Canada – a great spot for canoeing, camping, fishing, wildlife, and more. Doing a route through the park can take days and so a canoe trip is certainly worth the planning if you want to fully immerse yourself in the Canadian wilderness. Remember, Algonquin Provincial Park is about a quarter the size of Belgium! When you think of world-class wine – does Canada come to mind? Well, it should! Canada has a few famous wine-growing regions across the country and Ontario has one of the most famous”: Niagara on the Lake. The region has a very distinct climate due to the Great Lakes and the geography of the area. Because of this, the regions produce many kinds of grapes but is also known for their ice wines – a sweet dessert wine only produced where the grapes are left to freeze! With more than two dozen wineries, breweries, and distilleries in such a small and accessible region by bike or car, Niagara on the Lake is quickly growing to include more than just the largest established wineries of the area. Many of the vineyards have tours of their facilities and tastings throughout the summer and even in the winter to try ice wine. You can read more about some of the best wineries in Niagara on the Lake here and hop on a top-rated Niagara wine tour. Looking for a Room in Niagara on the Lake? Book the Best Hotel or Classic Inn Here! Visit Wine Country + Niagara Falls From Toronto: Take a Full Day Niagara Tour from Toronto! Once you’re out of Ontario, you’ll reach the Central and Western provinces in Canada. From the flat plains to the Rocky Mountains and the Pacific Ocean, the four provinces that comprise western Canada are very large. Each has their own unique character with lots of things to do and see for all interests. From East to West, there is Manitoba, Saskatchewan, Alberta, and British Columbia! While the West Coast of Canada gets a lot of attention, there are lots to discover in the middle if you are wanting to experience more of Canada’s beautiful lakes and mountains. Some of the most stunning photographs that you see for Canada are from the Rocky Mountain region and from places like Banff, Jasper, and Whistler – all of which we discuss below! Visiting Manitoba might not be the first thing you think of when you are visiting Canada for the first time, but the most adventurous of tourists might consider it. Far north in Manitoba is the small town of Churchill. It is here that you can find tours that make sure you have a safe and educational time in one of only a handful of spots around the world where you can see polar bears in the wild. In fact, Churchill has a thriving tourism industry that is centered around spotting the bears but also winter adventure activities and stunning landscapes for photography, the northern lights, and generally exploring the cold tundra way up north! To learn more, you can check out Great White Bear Tours. Established in 1981, Grasslands National Park can be described as adventuring into the middle of nowhere. However, don’t let this stop you from visiting Saskatchewan. The park is famous for some of the darkest skies in Canada. This makes for premiere stargazing. The flat prairies are home to a diverse range of wildlife – like Plains Bison – that graze the area. The park is also home to one of the richest concentrations of dinosaur fossils in the world. In fact, while Western Canada is known to be a fossil “hot spot”, the first fossils in the area were discovered here in Saskatchewan. There’s also plenty of camping to be done on the flat, grassland terrain – perfect if you want to get away from the big cities. To learn more, you can check out the official site for Grasslands National Park. That quintessential postcard shot of Canada usually has some variation of a tall mountain and a gorgeous blue lake. Right? So, if that is what you’re after then look no further than the Rockies! Alberta is home to a large portion of this mountain range and you really can’t go wrong with any of these locations. 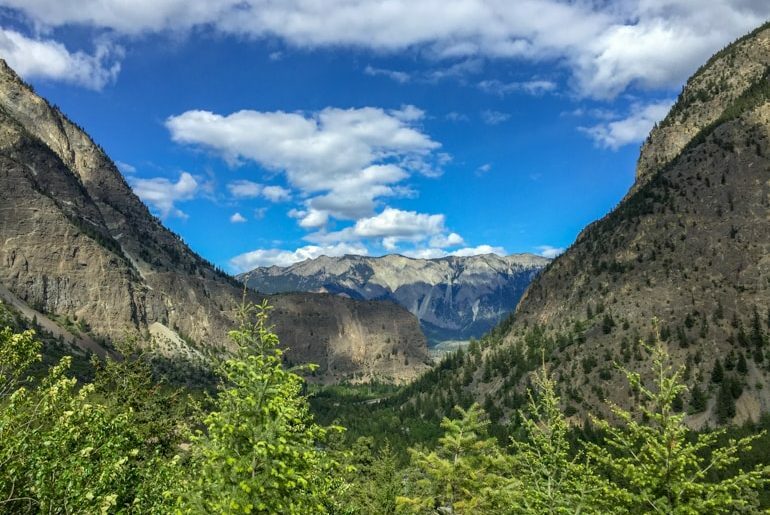 Covering over 10,000 square kilometres, this National Park is home to the famous Columbia Icefield glacier, countless hot springs, and even more trails to satisfy any level of holiday hiker thinking of tackling the terrain. 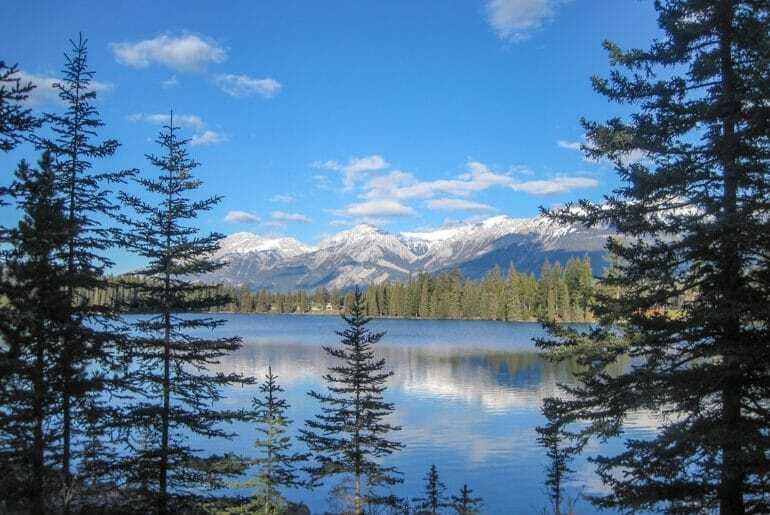 Declared a UNESCO World Heritage Site in 1984, Jasper does not disappoint in any season! 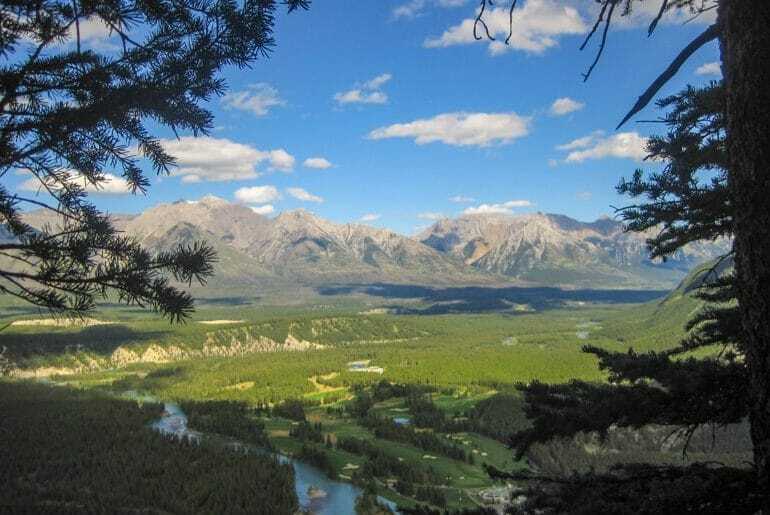 If you want to check out a few of the other top places in the area, here is a short list of the most notable: Valley of the Five lakes, Old Fort Point, and Maligne Lake. Looking for Accommodation in Jasper? 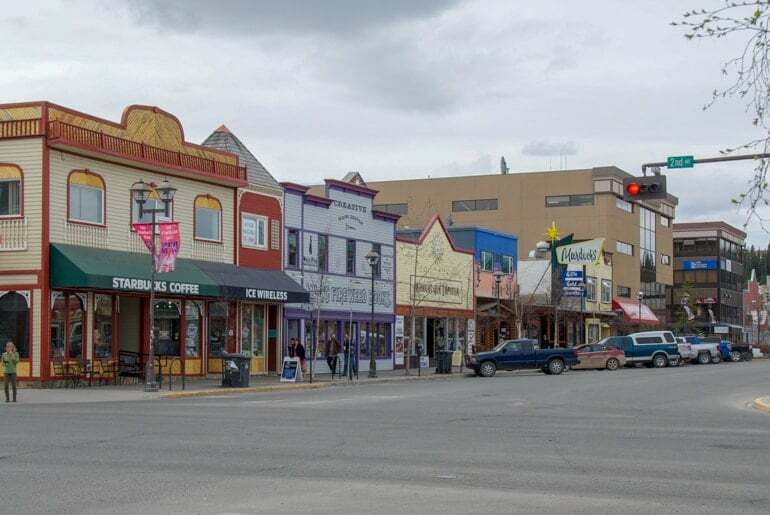 Start Your Search for Deals in Jasper Here. Want to Discover Jasper? Search for Wildlife and Waterfalls or Go Easy River Rafting with a Guide! 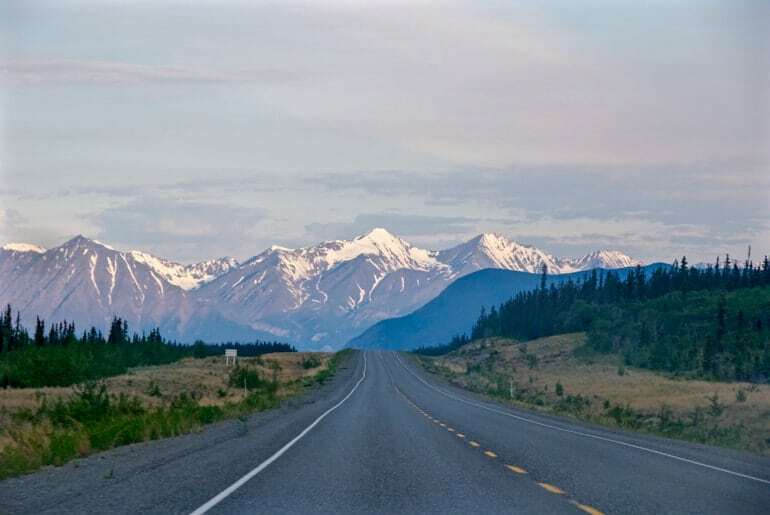 Driving west from Jasper you’ll pass through these two consecutive National Parks along the Icefields Parkway, a drive which in itself is a must-see attraction. 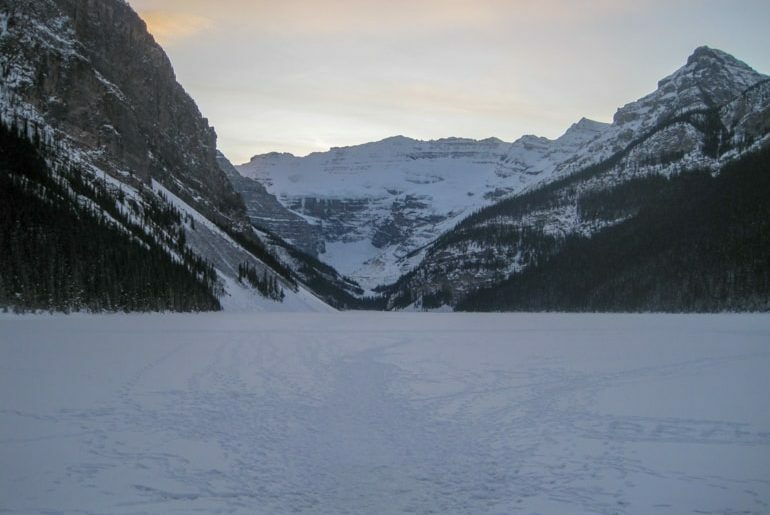 First stop, Lake Louise – home to the iconic turquoise lake (in summer) or the magical skating rink (in winter) and a castle-like hotel that rivals even that of any fairy-tale story. After Lake Louise, Banff is the town with the second highest elevation in the Alberta Rockies, and when you roll into town you’ll notice it right away. You’ll feel as if at any second you could drive up onto the mountains. Known for mountain biking, hiking, and snow sports, Banff is a town not to be missed on your Rockies road trip. 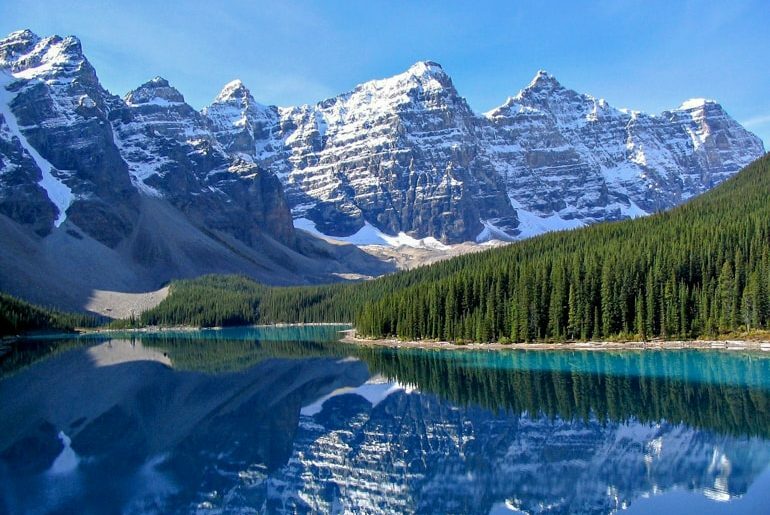 If you’re looking for other attractions and lakes in the area, there are quite a few notable ones: Lakeshore Trail, Moraine Lake, Tea House Train, Tunnel Mountain, and Johnston Canyon. Looking for Banff Accommodation? Check Here for Deals in Banff or Book the Fairmont Banff Springs! If your mountain craving hasn’t been curbed with those top spots then get yourself to Whistler, British Columbia. Whistler is a mecca for incredible skiing and snowboarding in the winter as well as a lush spot for all things biking, hiking, and swimming during the summer months. The options of things to do in Whistler are endless no matter the season. That said, the top recommendations, if you’re short on time, would be to get up into the clouds on the Peak 2 Peak Gondola. The views on your way up will have you glued to the gondola windows the whole time. 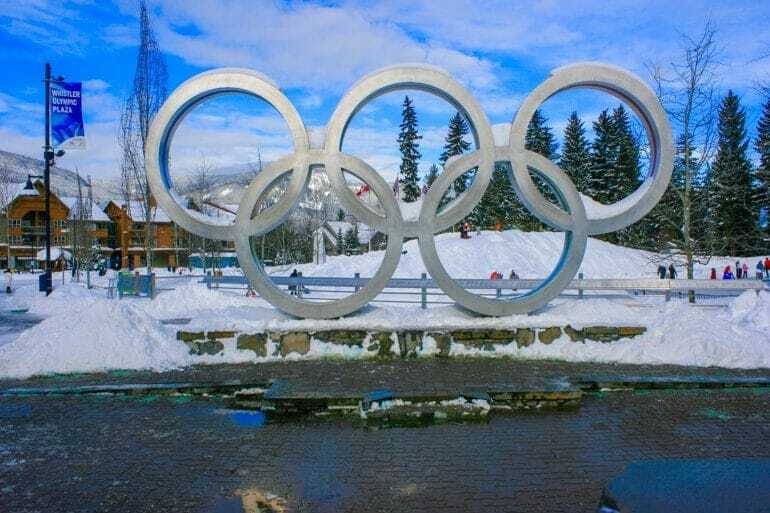 You can take a stroll through the iconic Whistler village and relive the 2010 Olympic winter games (Go Canada!) with some amazing items and attractions leftover from the games. 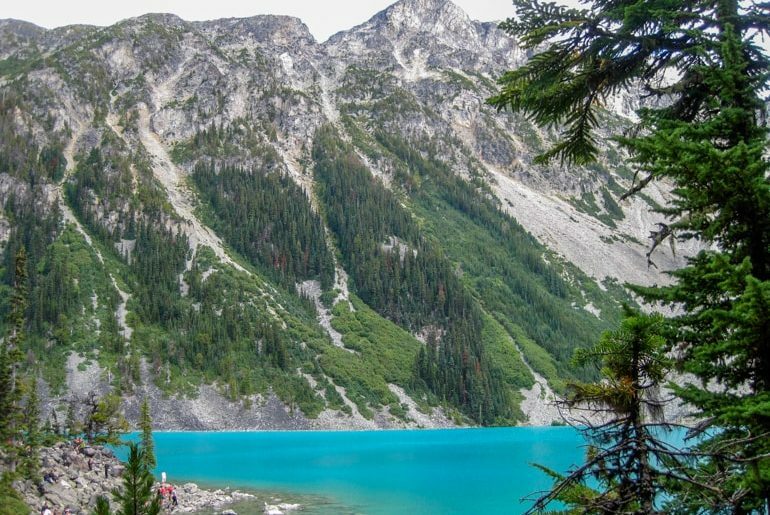 And if you’ve got a little more time up in Whistler then do check out some of these spots in the surrounding Whistler area: Cheakamus Lake, Joffre Lakes, Brandywine Falls, and Shannon Falls. To learn more, discover the Whistler tourism site. Looking for Accommodation in Whistler? Check Out Deals on Whistler Accommodation. 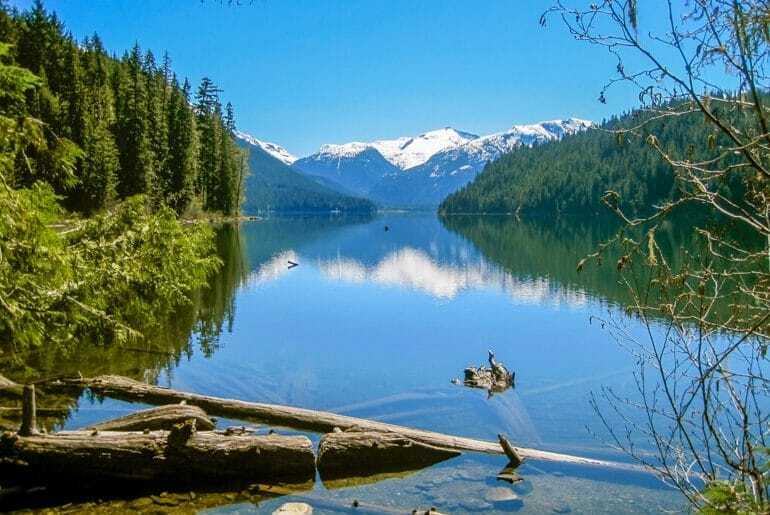 Want to Discover Whistler? Book a Top-Rated Full-Day Tour of Whistler and Shannon Falls. It’s time to head from the Rocky Mountains to the city by the sea – from Whistler to Vancouver that is! The drive alone along the Sea to Sky highway is one of the biggest attractions and the best drive to get you between the two locations. Vancouver is known for its natural beauty being surrounded by snow-capped mountains and stunning blue ocean at the coast. It’s not hard to tell why it’s been named one of the most beautiful Canadian cities more than once before. Since there are so many neighbourhoods to choose from, you might want to check out our guide to Vancouver Neighbourhoods and Hotels! Stanley Park and the Sea Wall path are not-to-miss places on your visit. You can walk it, run it, or even rent a bike and cruise along taking in the sights of the city and the multitude of beaches along the way. North Vancouver is known for its lush forests and the high and mighty Capilano Suspension Bridge. 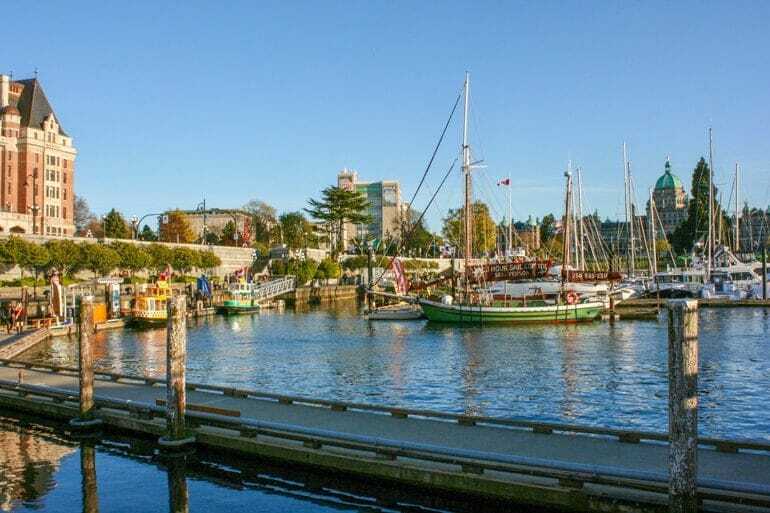 Granville Island will have your mouth watering from the first moment you lay eyes on the expansive market there. Finally, you should indulge in some of the best food on offer in the city in historic Gastown! Want more on Vancouver? Here are 6 of the Top Local Things to Do and See in Vancouver. Looking for Hotels in Vancouver? Check Here for Vancouver Deals. Victoria Harbour at Sunset. Photo: Laura O. When you’ve had your fill of the city and you’re seeking a reprieve from the hustle and bustle, then it’s time to get on a boat and head over to Vancouver Island! Actually, if you’re feeling like you want to travel a bit more luxuriously you can fly (by seaplane or helicopter) from Vancouver to the island! Known for its mild climate, lush rainforests, and incredible coastal views a visit to Vancouver Island will have you feeling as if you’re a million miles away from any city. To learn more, check out the Vancouver Island tourism site. Victoria is the capital city of British Columbia and sits on the southern tip of Vancouver Island. 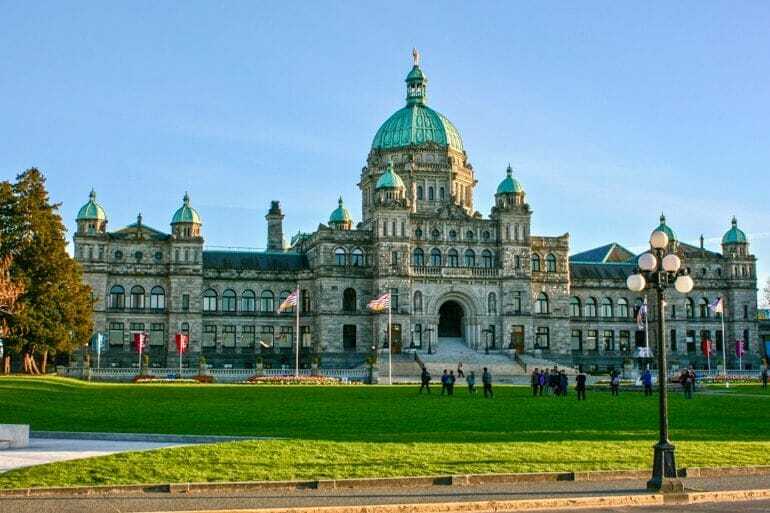 Victoria is home to a beautiful Parliament Building, as well as Beacon Hill park that is perfect for a sunny stroll along the ocean. Goldstream Provincial Park is a spot not to be missed with its own version of Niagara Falls. To learn more about Victoria, check out the tourism website. Looking for Accommodation in Victoria? Check Out Victoria Hotel Deals. 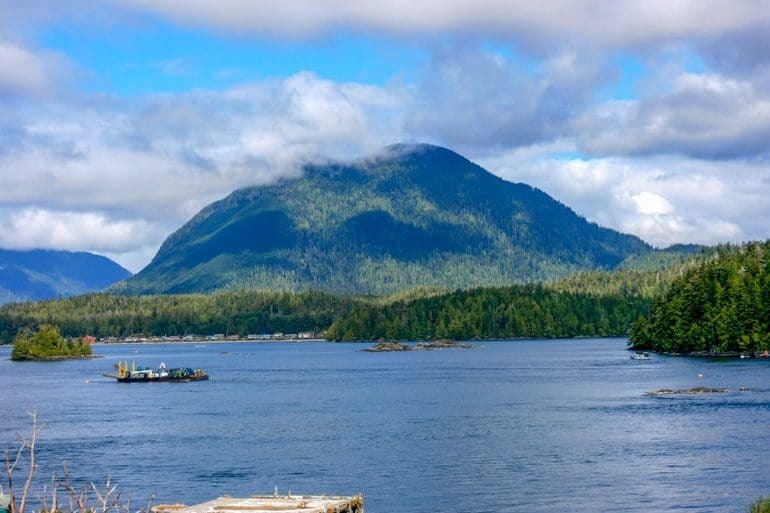 For those of you looking to discover somewhere a bit smaller, then Tofino further northwest of Victoria is your must-see spot! Known for its surfing and whale spotting, this part of the island has almost an ethereal vibe when the fog rolls in. This makes for a great spot to storm watch during the winter months. To learn more about how awesome Tofino is, check out the Tofino tourism site. Who loves wine?! Did you all raise your hands in the air like you just don’t care? If you did then it’s the Okanagan Valley that should have you jumping for joy! Kelowna, Penticton, Peachland, Vernon, & Osoyoos all boast some of the regions most well-known vineyards, fruit orchards, and stunning views. While you sip your wines that are locally sourced and bottled, take in the sweeping views of the lakes and valleys. Countless tours exist to make the day easy to get from each of the wineries safely and comfortably. You can also drive through the rolling hills stopping at the vast amount of wineries that exist around every turn. Just remember to drive and enjoy responsibly if you do! To learn more about the Okanagan Valley, check out their tourism website. If you’re heading to Canada for the first time, you might not end up in the Territories unless you know there’s something you want to see. If you like canoeing, camping, mining for gold, and the chance at seeing the Northern Lights, then the Territories might be for you to explore! From west to east, there is Yukon (borders with Alaska), Northwest Territories, and Nunavut, where you’ll find a high percentage of Canada’s Indigenous population known as the Inuit. As the capital city (and only city) in the Yukon, Whitehorse is a great place to experience the truly touched outdoors in Canada. The city itself was only “recognized” in 1950 but existed long before. In fact, the famed Klondike Gold Rush in the late 1800s is part of the reason the Yukon (and the city itself) exist today. The history and legend of gold in the area continues to this day. Fun Fact: because of how high north the city is, Guinness World Record claims that Whitehorse is the city with the least air pollution! Good to know! This high latitude means that winter days are very short and summer daylight can last for 9 hours. This makes summer great for hiking, fishing, camping, and exploring. There’s a reason we have exploring the Yukon on a camping adventure on our experiences of a lifetime list! The winter is amazing for cross-country skiing and viewing the northern lights – and many tours are centered around helping you discover the northern lights at their best up in the Yukon! To learn more about the Yukon in general, here is the official Yukon tourism website. And there you have it – just a short list (rolls eyes) of some of the best attractions and places to check out in Canada. Like we said, this is just a sampler. We wanted to cover the whole country and we think we’ve done a pretty good job giving you a taste of what is out there for you to discover, Of course, we couldn’t cover everything! Are you planning a trip to Canada? What do you think of our list? What are you planning on seeing? Get in touch and let us know – we’re happy to share more knowledge to help you trio plan!